Exquisite, award-winning wines from a truly spectacular place, located on the beautiful shore of Flathead Lake in Dayton, Montana. Mission Mountain Winery is a family owned winery located on the West Shore of Flathead Lake, the largest natural fresh water lake west of the Mississippi, in Dayton, Montana. It is the first Bonded Winery in the state of Montana, with our initial vineyard started in 1980, and our first vintage in 1984. Since then, our wines have received over a hundred accolades and international medals for their bold and extraordinary qualities. Tom Campbell Jr. is the man behind the winemaking, bringing over 35-years of winemaking experience throughout California and the Northwest. Following the wisdom of his father Tom Sr., Tom Jr. trained at the renowned University of California at Davis in Enology and Viticulture, and then worked as a winemaker at several different wineries, including Jekel and Shiloh in California, and Ste. Michelle and Quail Run (Covey Run) in Washington. He then started Mission Mountain Winery in Montana with his father in 1984. Tom Jr. and his wife Hema also started Horizon’s Edge Winery in Zillah, Washington in 1985 (sold in 1999). He also is director of wine production for Woodhouse Wine Estates in Woodinville , WA and owner and winemaker of Tanjuli Winery in Zillah, WA. Mission Mountain Winery currently produces approximately 6,500 cases of wine per year. The vineyards in Montana grow Pinot Noir, Pinot Gris, Marquette and small amounts of Riesling, Chardonnay and Gewurztraminer. Other grapes are grown in our own vineyards in the Rattlesnake Hills region of Washington. It is amazing that some of the finest wines in the world come from this small winery in northwest Montana. The wines have met with excellent acceptance by Montana Residents and visitors to the winery from all 50 States and 30 Foreign Countries, as well reviews from national and international competitions and wine writers. Our wines have received International recognition, winning over 100 medals, mostly gold. We invite comparison with any of your favorite wines in a blind tasting, and know with confidence that you will be pleasantly surprised and enjoy the high quality of our wines. Loads of Fruit and no oak. Only available at the winery or restaurants. Great with Seafood and Fish Tacos. A grape that originated in the south of France. Made in a totally dry style that is magnificent with shrimp, crab and lobster. A consistent winner of national and international awards, this wine exhibits apricot and honey aromas to compliment its delicious semisweet fruit flavor. Great with many foods, from crab and chicken to Szechwan Chinese and everything in between. International medal winner. This unique blush is much more flavorful and slightly sweeter than a White Zinfandel. Sundown has a light berry aroma and flavor that compliments pork and chicken. It's also a great picnic and hot tub wine! This unique blend of WA and MT grape wine and natural MT huckleberry juice is a fun Montana favorite. Like eating sweet huckleberries. Cherryvale - A delicious blend of Grape wine and Cherry juice. Enjoy a cold refreshing glass of Cherryvale with your next picnic or barbecue. Beautiful, deep and complex. Extreme Montana climate builds great character. The grapes were crushed whole and stems were left in to add tannic backbone to the wine. After a light pressing, the wine was aged in 225 liter French Limousin oak barrels for two years, then bottled. This is a very complex Pinot Noir with elements of style recognized in the best Oregonian, Californian and French Pinot Noirs. It has a deep garnet color with violet highlights. The flavor and bouquet are a weave of cherry, spice and oak. This is a wine to be savored with your favorite veal, spring lamb, wild game or even rich, red salmon. International gold medal winner, worthy of the Flathead Lake Monster. This hearty blend of Merlot and Cabernet, with its complex character and rich fruit, was aged 12 months in French and American oak barrels. The resulting wine is brilliant red in color with violet highlights. This is a great wine with bold black cherry fruit, and extra depth is added by the oak and Cabernet. Enjoy it with steaks, lasagna or a big, juicy cheeseburger. Gold Medal Winner at Tasters Guild International Wine Competition. This Merlot, with its complex character and rich fruit, was aged 22 months in French and American oak barrels. The resulting wine is a brilliant garnet red in color with an excellent balance of toasty oak, rich cherry and subtle cigar box aromas. This Merlot has tremendous richness, great depth and a long lingering finish that makes it a joy to savor. Highly recommended with prime rib, rack of lamb, or your favorite Italian dish. A blend of Syrah, Mourvdre, Pinot Noir, Aglianico, Carmenere, and Teroldego create an intensely flavorful medium bodied wine that is amazing with grilled meats. Silver Medal Tasters Guild International Wine Competition. Dark, smooth and delicious. Great balance of fruit and oak in this full-bodied red. This medium garnet colored Cabernet, with its complex character and rich fruit, was aged 23 months in American oak barrels, suggesting a hint of dark chocolate wrapped in raspberry and cherry. Soft oak, currants and plum with underlining richness give it a smooth, satisfying finish. We highly recommend this forward-fruit masterpiece with a rack of lamb. Limited production. Best of the old-world and new-world styles. A great match with brazed lamb shank smothered in morels with garlic mashed potatoes. Nectar of the gods. Sold only at the winery. Compliments medium-sweet desserts like pound cake or crème brûlée. Orange Muscat grapes were crushed whole and high proof brandy was added during fermentation. This is a very rich and fragrant Cream Sherry that can be enjoyed after a big meal or while relaxing in a favorite easy chair. The grapes were crushed whole and stems were left in to add tannic backbone to the wine. High proof Brandy was added during fermentation. After a light pressing, the wine was aged in old 225 liter French Limousin oak barrels, then bottled. This is a very rich, deep, dark Port with elements of style in the Ruby and Vintage Port traditions. A great addition to sauces and a great joy to savor after a hearty meal with a great cigar (so smoke 'em if you got 'em). Port with chocolate extract, a fantastic pairing of two major food groups. Great on top of vanilla ice cream. Our tasting room is open May 1 through October 31 , seven days a week including holidays. For groups of 8 or more, please make an appointment by calling the winery at (406) 849-5524 or contact us via email at info@missionmountainwinery.com. We can also arrange private tastings for groups with light or heavy hors d'oeuvres. Mission Mountain Winery began as a vineyard in the beautiful Dayton Valley, at the mouth of Dayton Creek where it enters Flathead Lake's west shore. First planted in 1979 by Dr. Thomas Campbell and his son Tom Jr., the vineyard continues to be a grand experiment in finding suitable grape varieties for this northern banana belt of Western Montana. Many varieties have been exposed to the harsh reality of our short growing season that starts in May and ends in early October. The cold winters, occasionally -20 F, eliminates those that are not cold-hardy, and among those varieties that survive we eliminate what doesn't ripen in our short season. We have found Pinot Noir, Pinot Gris, Chardonnay and Gewurztraminer to fit our criteria for commercial success in our vineyard site. We also recently planted Marequette, and look forward to our first harvest in 2016. Mission Mountain Winery is not alone in the quest to grow grapes in Montana. Over the years, other pioneers have started vineyards around Flathead Lake and in the Flathead & Mission Valleys, and banded together to form the Montana Winegrowers Institute. Dr. Dudley & Annie Page (kindred souls to Johnny Appleseed) have been growing Pinot Noir and other varieties on Finley Point. Dudley sold part of his vineyard to the Pitt family, and passed away in 2012. Dudley will be sorely missed, but Ken Pitt will keep his legacy alive and add his own chapter to Montana vineyard history. Ken and Eileen Pitt have been busy replanting some of the frosty parts of their Pinot Noir vineyard on Finley Point with cold-hardy Hybrid Marquette and Leon Milot. They take great pride in their manicured vineyard and are nurturing these new varieties. 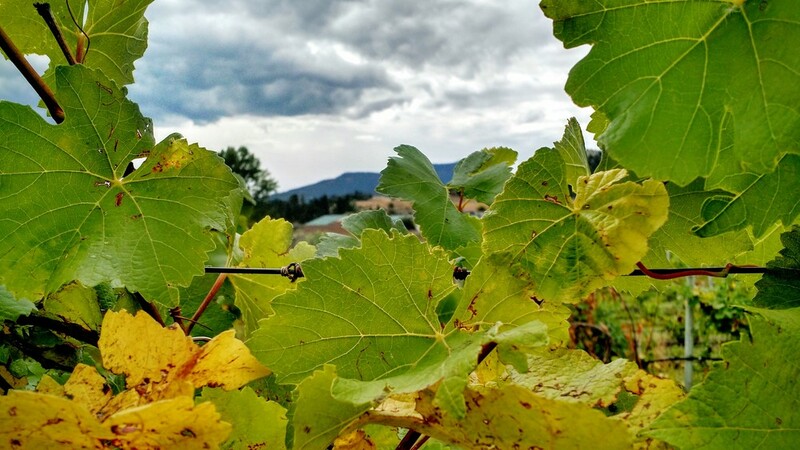 Gregor Tavenner has taken over the old Walker experimental vineyard and added some exciting new plantings of Pinot Noir and Pinot Gris above the eastern shores of Flathead Lake north of Finley Point. Hartman Vineyard has a beautiful planting of Pinot Noir next to his old apricot orchard near Yellow Bay on the east shore. This site has shown real potential and we look forward to seeing it grow. European and Hybrid varieties of wine grapes are also grown in small vineyards near Plains, Thompson Falls, Eureka, Missoula, Billings, Miles City and in the Bitterroot Valley. For orders and shipments, please call us at (406) 849-5524, or email us at info@missionmountainwinery.com with your phone number and a good time to reach you. You can also reach us using the form below. Please note that we are limited by each state's laws with respect to shipping, and can only ship to CA, CO, FL, MN, MT, WA, and DC. We offer 10% discount on a case quantity (12 bottle per case), 15% on two cases and 20% on three. We offer a 30% discount if you need five or more cases for a wedding or other special event. You may mix wines and still receive the discounts. For all other inquiries, please send email to info@missionmountainwinery.com. Shipping wine is restricted by various state laws. We can only ship to CA, CO, FL, MN, MT, WA, and DC.